Our product range includes a wide range of printed shopping bag, shopping poly bags, plastic shopping bags and promotional shopping bag. To meet diverse requirements of our valued clients, we are engaged in offering an excellent range of Printed Shopping Bag. 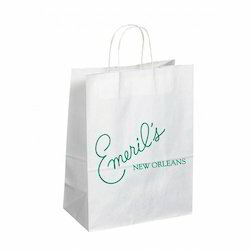 This offered printed shopping bag is made of reusable and eco-friendly propylene. These printed shopping bags are widely demanded owing to their features of liquid resisting, durability and dehumidifying nature. Our range of printed shopping bag is available in varied thicknesses and colors to suit diverse requirements of clients. We are one of the foremost firms, engaged in offering premium quality collection of Shopping Poly Bags. The offered shopping poly bags offered by us are resistant to water, which can be used even in rain. Moreover, these shopping poly bags are chemical resistance and are ideal to store various types of things. We also test these shopping poly bags on various parameters so as to ensure their compliance with set industry standards. 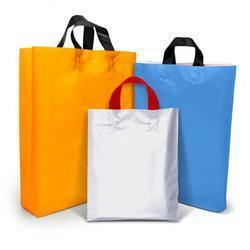 Our entire range of shopping poly bags is widely demanded and appreciated for their unique attributes like durability. Riding on unbelievable volumes of modern aptitude, we are putting forth a lovely scope of Plastic Shopping Bags. These gave bags are accessible in tweaked choices according to the need of clients. Offered shopping bags are outlined by our equipped workforce by utilizing premium evaluation material with ultra-present day apparatus. We gave special shopping bags are checked by quality investigators so as of supply a faultless reach. Riding on unfathomable volumes of industrial expertise, we are offering a beautiful range of Promotional Shopping Bag. 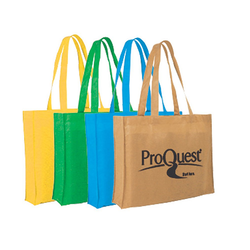 These provided bags are available in customized options as per the need of customers. Offered shopping bags are designed by our competent workforce by using premium grade material with ultra-modern machinery. 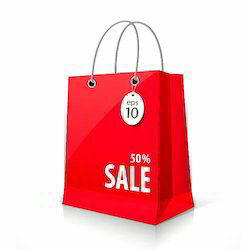 Our provided promotional shopping bags are checked by quality inspectors so as supply a flawless range. 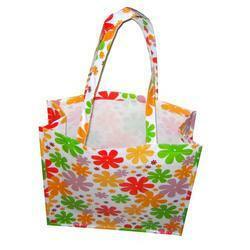 We are one of the leading manufacturers & suppliers of Printed Shopping Bag.